Photo courtesy of Aqueous' website. 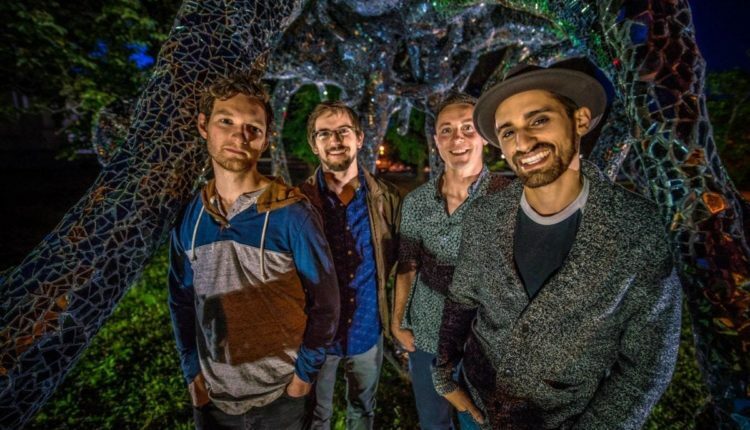 Aqueous just announced their most extensive headlining tour to date. The tour starts this September, ends in December, and will hit 27 cities. Photo courtesy of Aqueous’s press release. 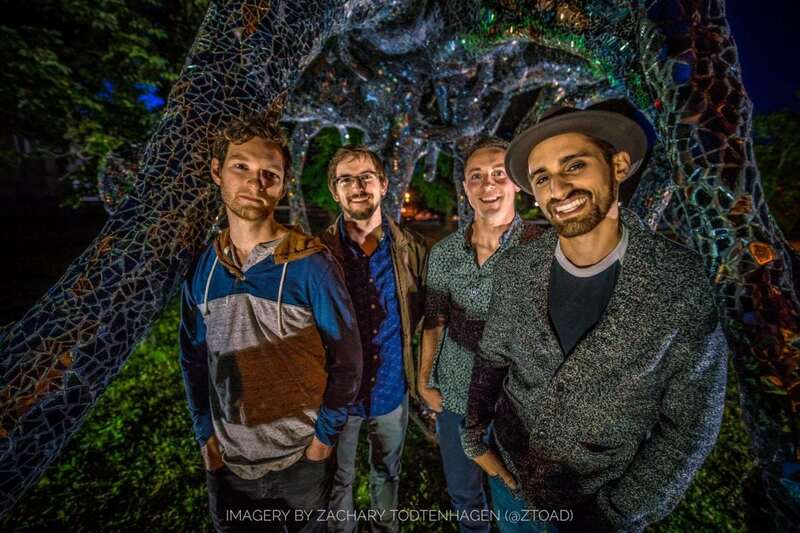 Aqueous is a Buffalo-based groove-rock quartet and has three studio albums under their belt. 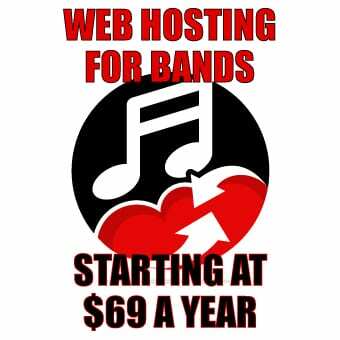 They have a reputation for their improvisational skills and are considered one of the most promising improvisational rock acts in the country. 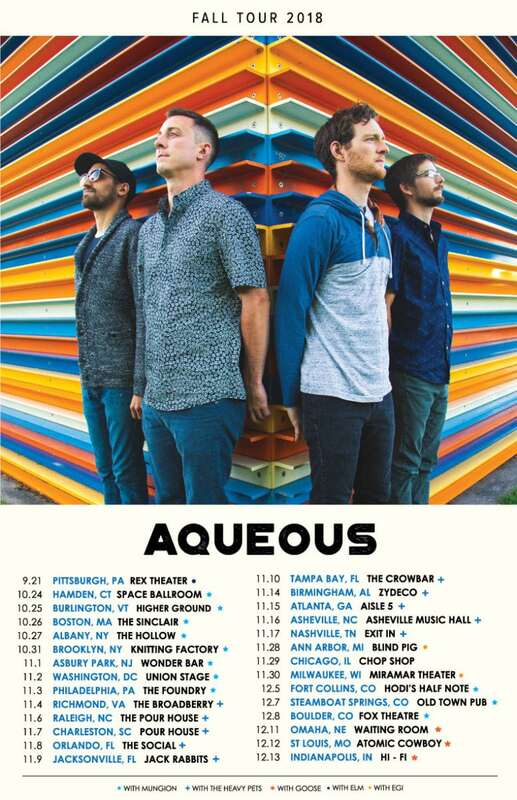 During their tour Aqueous will be receiving support from the likes of Mungion, ELM, The Heavy Pets, EGI and Goose. They will be stopping in five New York cities: Buffalo, Sherman, Utica, Albany, and Brooklyn. The Buffalo, Sherman, and Utica stops are technically before the tour starts but are part of Aqueous’ already existing shows. The band is made up of guitarist Mike Gantzer, guitarist/keyboardist David Loss, bassist Evan McPhaden, and drummer Rob Houk. Tickets are on sale this coming Friday, July 20th at 10 AM ET. To purchase tickets or for more information on specific dates, please head to the band’s website.